Alright fangirls. I’ve never seen Rick & Morty, so I really didn’t know what it was about. I knew it was an adult swim adventure show, but that was it. I grabbed myself the first collected volume of the comic (5 issues), and for some reason didn’t expect it to be quite so vulgar and fun, but I loved it. 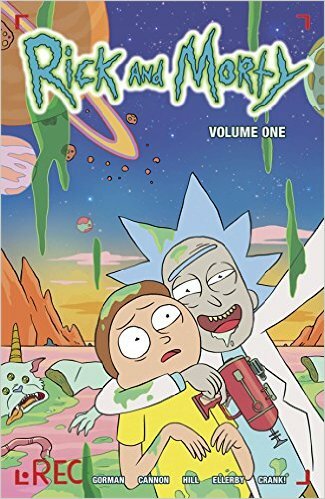 From what I read, Rick is a drunk scientist who takes his weird grandson, Morty, on wild adventures. There’s time travel, dimension hopping, and a whole lot of killing. It’s pretty rad, but definitely not for everyone. These comics are graphic in their art and their language, which is probably a large appeal of the show as well. The roughest stuff is blurred and symbolized, but I still wasn’t expecting it. I guess that’s what reading all ages comics does to you. These issues had a commonality in their story lines, but it was minor enough to be able to pick up random issues and still understand what’s going on. For example, in issue 2 they are arrested and sent to a space labyrinth. Morty gets out, but Rick doesn’t. In issue 3 Morty is struggling with blaming himself (or so his family thinks) and when Rick gets out, he kills the clones in the family to save them. But there isn’t much mention of what happened beforehand. I like that. I like knowing that though it’s a comic that I don’t need to keep up with, I can still have a good time reading an issue here and there. 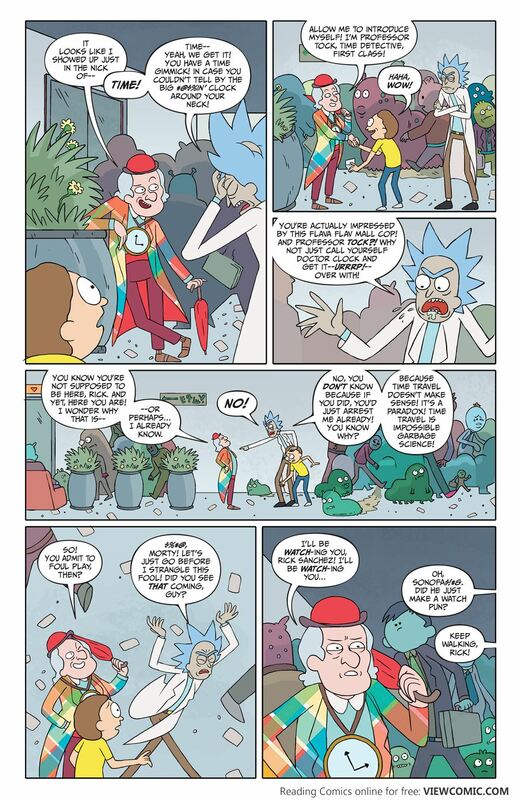 If you’re of an appropriate age and enjoy Rick & Morty, you should check out this comic. It’s fun and gross and perfect. You’ll have a great time reading it.